Stanley G. Ellis was a member of the First Quorum of the Seventy of The Church of Jesus Christ of Latter-day Saints. 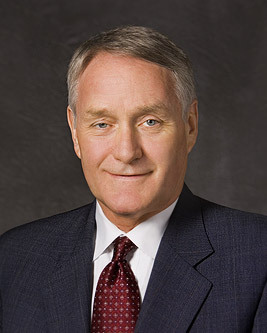 He was sustained on March 31, 2012, and had been serving in the Second Quorum of the Seventy since April 1, 2006. He was released and given emeritus status on September 30, 2017. He was born in Burley, Idaho, on January 22, 1947. He earned his bachelor’s degree in governmental studies from Harvard University and then received a law degree from the J. Reuben Clark Law School at Brigham Young University. He was a chief executive officer in a financial consulting company and worked in law and finance. Ellis served as a full-time missionary in the Brazilian Mission and later presided over the Brazil Sao Paulo North Mission. He has also served as an Area Seventy, stake president, high councilor, elders quorum president, and Young Men president. He and his wife, Kathryn, are the parents of nine children. This page was last edited on 3 October 2017, at 12:18.